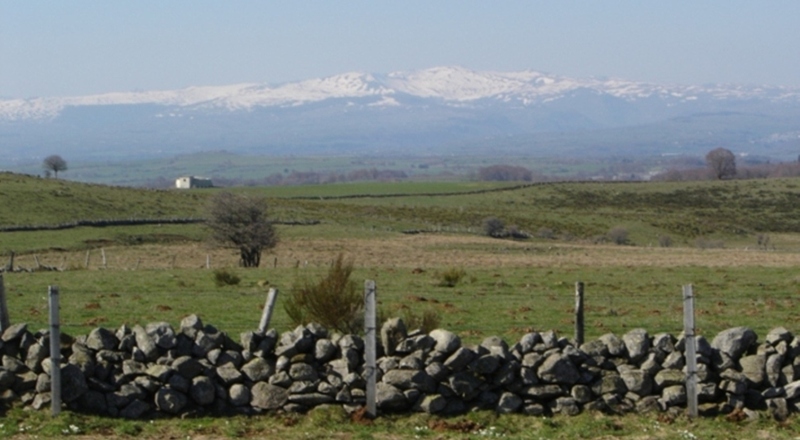 Walking holidays in the Auvergne, from Clermont Ferrand to the Aubrac. For a recommendation of a walk or cycling tour in South of France click here ! In Massif Central between Clermont Ferrand and the Aubrac. 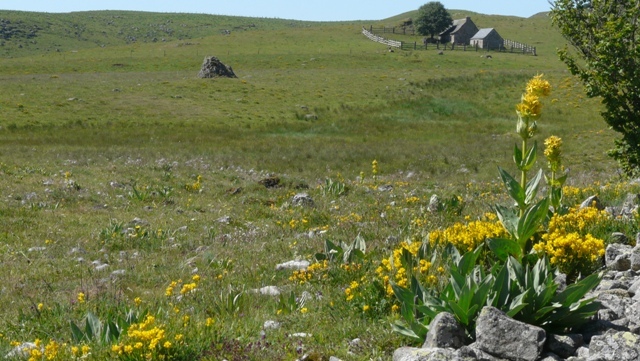 - Plus Walking on the Aubrac plateau. 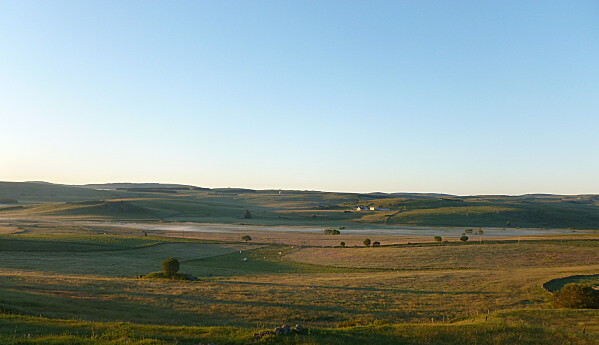 More pictures, description and general tourist information on Aubrac. Hiking and walking with Baggage transfer. Small typical country inns with character and charm. Rooms with shower and bathroom en suite. Some hotels with a pool. Flexible: Choice of hotel-accommodation, length and level of trip. Accomodation: budget, standard, plus, superior or luxury packages. Last minute bookings: Leaving within a week. E-booking rates and discount for parties of 3 and more. All walks are in mobile range for phone most of the time. La Ligne Verte is an owner operated, local touroperator for walking holidays. We're based in Parc Naturel R?ional des Grands Causses. All year we are on the spot here halfway the Auvergne and Midi-Pyr? ?s region to ensure outstanding service for our inn to inn holiday tours in sunny South of France. 10 Walks in the Parc Naturel des Grands Causses in the departments Aveyron, Loz?e, Gard and Tarn in South of France with stays in family run hotels. and occasionally in luxury Chambres d'hotes. Enter your email address, and we'll keep you informed about special offers and new items.